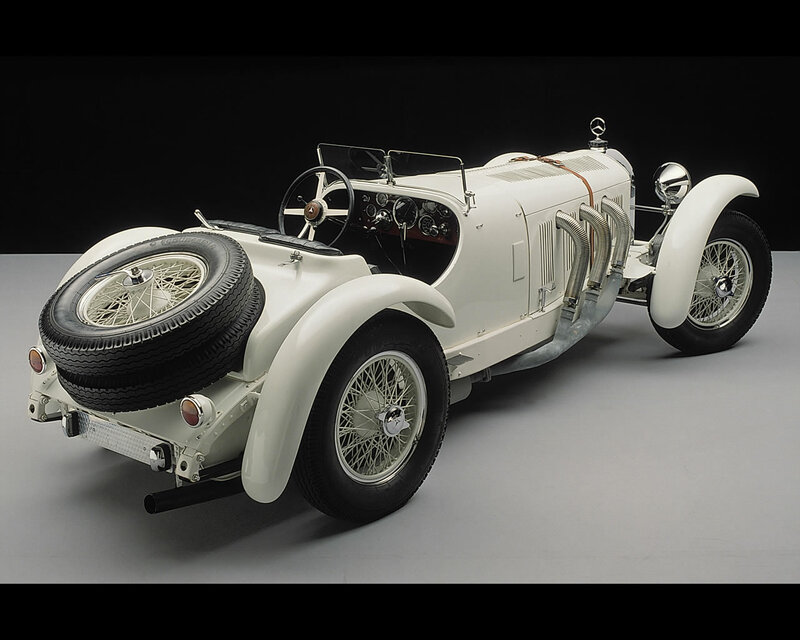 The Mercedes SSK is a prestigious and successful Mercedes in a long line of gradual development of road going and racing sports cars with six-cylinder supercharged engine named K, S, SS, SSK and SSKL models from 1926 to 1934. Ahead of the merger, Benz and Daimler had agreed that the racing activities of both brands would initially be continued by DMG. 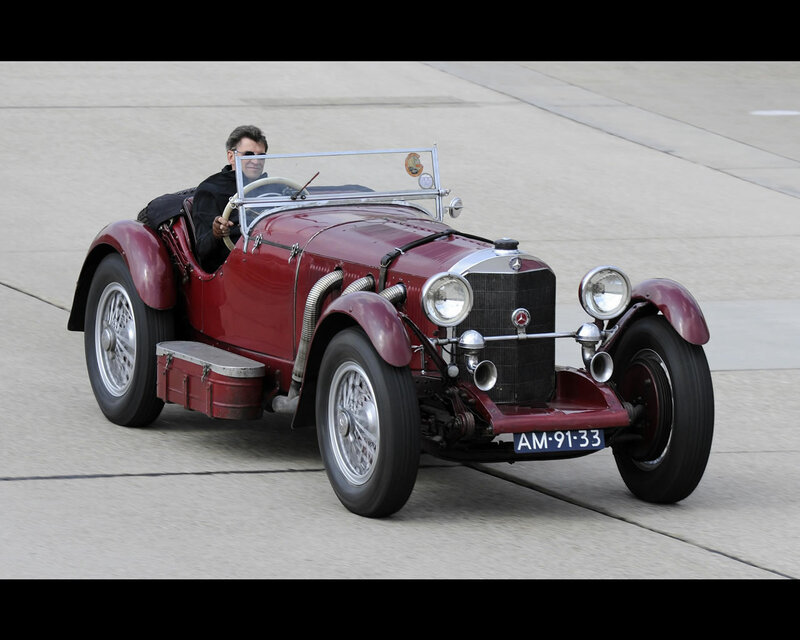 This was also the background to the focus on the Stuttgart firm’s supercharged vehicles in the two years before the 1926 merger and after the completion of the operation. Mercedes had already been making racing cars with mechanical superchargers of this kind for some years. The most powerful of those vehicles was the eight-cylinder Monza car of 1924. It was in one of these cars that Rudolf Caracciola won the first German Grand Prix for sports cars at the Avus track in Berlin on 11 July 1926. Caracciola completed the distance of 392.3 kilometres at an average speed of 135.2 km/h. To enable it to race as a sports car, the Mercedes-Benz racing department converted the body of the 2-litre Grand Prix design so that the vehicle formally qualified as a four-seater. While the Monza racing car did not go on to play any major role in the new company’s involvement in motor racing, the first German Grand Prix did mark the beginning of a new era in motor sport. It was at this time that Alfred Neubauer, who by now saw himself more as an organiser than a racing driver, developed his idea for detailed communication between drivers and the pits with a system of flags and sign boards and a meticulously planned process during pit stops. Neubauer’s ’sign language’ was first used in the Solitude Race on 12 September 1926. The class for sports cars over 5 litres at the Solitude Race was won by Willy Walb in his K model, first introduced in 1926. 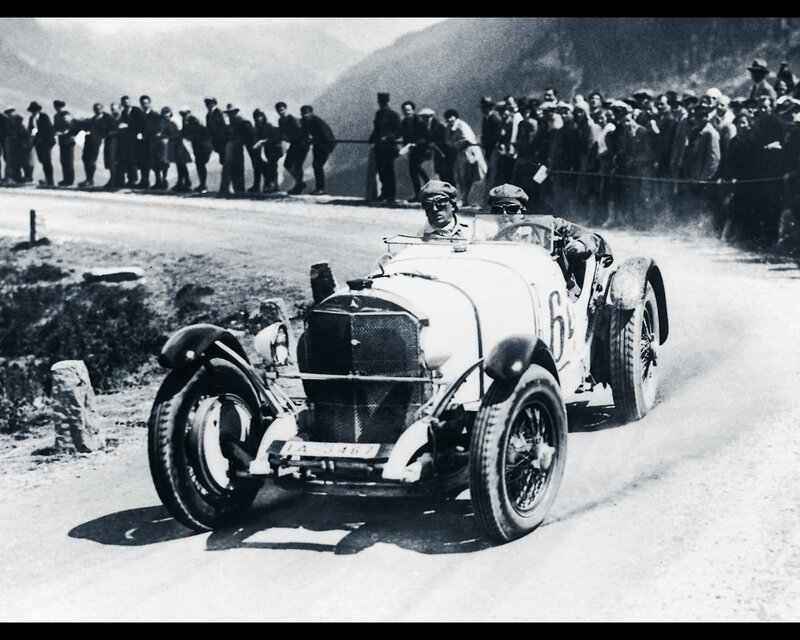 On the very same day, Rudolf Caracciola won the Semmering event in the class for touring cars with a displacement up to 8 litres, also in a Mercedes-Benz K model, at an average speed of 74.7 km/h. Caracciola also won the racing car class, in a 1914 115 hp Mercedes Grand Prix racing car, whose 4.5-litre engine was now equipped with a mechanical supercharger. His average speed of 89.8 km/h gave Caracciola another record, and also the third Semmering challenge trophy for Daimler-Benz AG. But the star of the racing season was clearly the Mercedes K model racing touring car based on the 24/100/140 hp Mercedes. The mechanically supercharged in-line six-cylinder engine, fitted with a Roots blower, had a displacement of 6.2 litres and developed 85 kW(114 hp) , or 118 kW(158 hp) with the supercharger engaged. 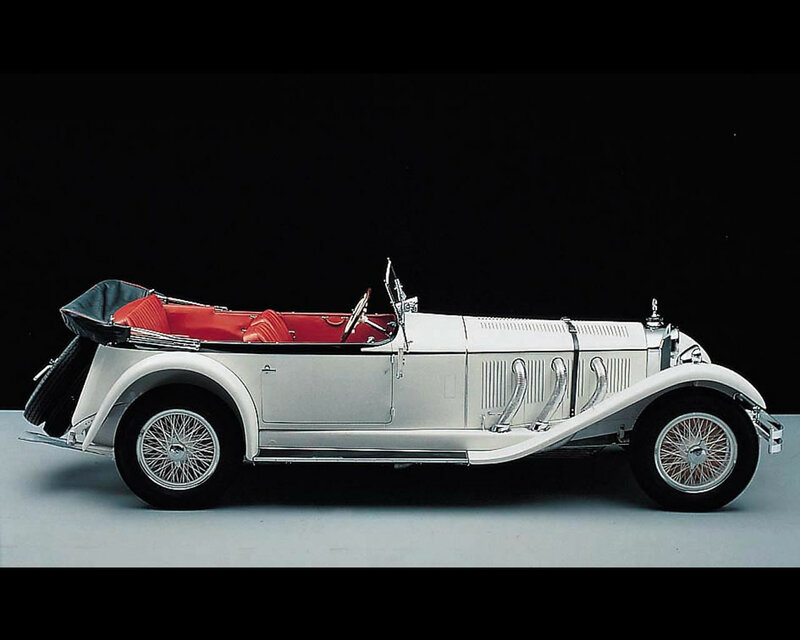 The K was the first member of the legendary family of heavyweight supercharged cars that enabled Mercedes-Benz to dominate the racing scene in the years from 1926 onwards. The K, S, SS, SSK and SSKL models were used for racing events, but were also available for use on the road. The 26/170/225 hp Mercedes-Benz S model racing touring car of 1927 was the first supercharged sports car in this family to be fully developed by Mercedes-Benz for racing purposes. This enhancement of the K racing touring car model is regarded as the first of the ‘White Elephant’ models. This was the at first glance rather unflattering nickname the racing community gave to the heavyweight vehicles from the S model through to the SSKL, with which Mercedes-Benz totally dominated the racing scene in the late 1920s and early 1930s. These racing cars, painted in the traditional white racing livery of Germany, were admittedly big, strong and powerful – but the other attributes of the vehicle were anything but elephantine. In fact, the 1.9-tonne titans with their huge 6.8-litre engines consistently outpaced other competitors’ lighter, more manoeuvrable vehicles. It was in one of these cars, featuring an improved chassis set lower than in the K model, that Rudolf Caracciola achieved world celebrity. This happened on 19 June 1927, when he drove an S model to victory in the class for sports cars over 5 litres in the inaugural race on the Nürburgring track, ahead of fellow team member Adolf Rosenberger. This was the first of eleven overall and class victories for Caracciola during that season. There was also plenty of success for other Mercedes-Benz drivers, including a triple victory at the German Grand Prix for sports cars at the Nürburgring over 509.4 kilometres on 17 July 1927, when Otto Merz (overall winner), Christian Werner and Willy Walb, all driving Mercedes-Benz S models, dominated the race. 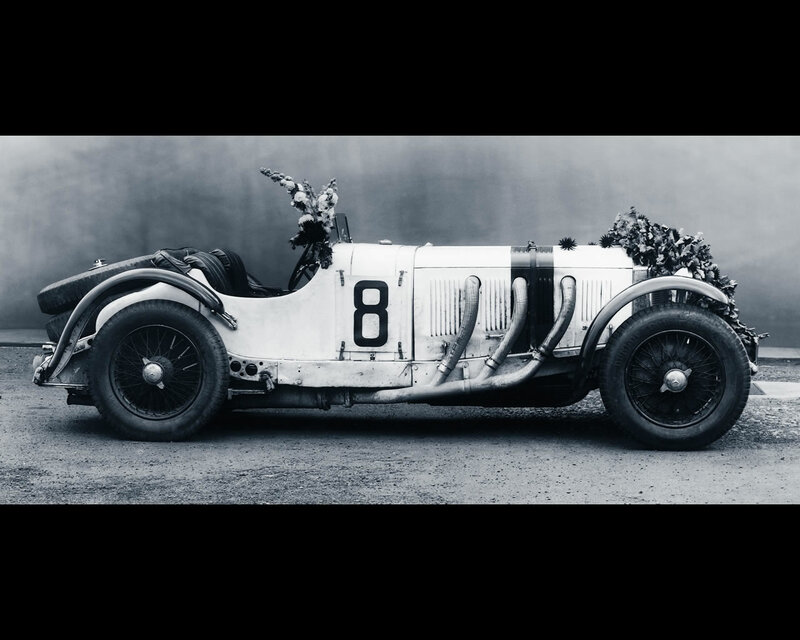 In 1927, the Daimler-Benz works team entered vehicles in more than 90 races and other motor sports events, bringing an overwhelming number of victories for the K (kurz = short chassis) and S (sports) models, in mountain and touring events as well as on the racetrack. With the supercharger activated, the six-cylinder engine of the Mercedes-Benz S developed 138 kW(185 hp) at 3300 rpm. This enormous power was also coveted by private motorists – a wish that Mercedes-Benz was happy to fulfil. All the sports cars in this family were in fact also available for non-racing use, making the car the vehicle of choice on the road for affluent motorists. While private drivers also frequently entered their supercharged cars in competitive events, the enhanced racing version was reserved for Mercedes-Benz’s works drivers. The engineers and designers continued to work tirelessly on further improving the outstanding design of the S model. 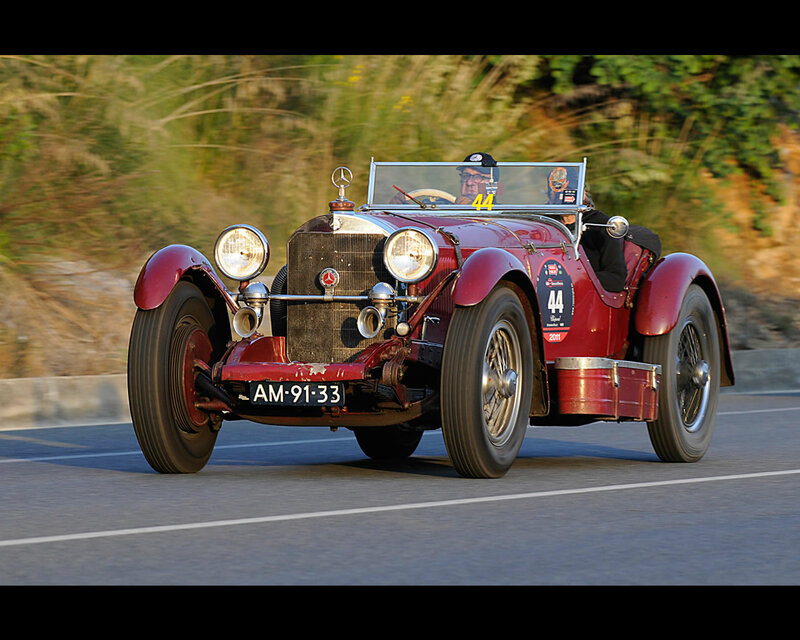 The result of these efforts made its debut in 1928, as the 27/180/250 hp Mercedes-Benz SS racing touring car. The extra ‘S’in the name of the new prestige model stood for ‘super’. The most important difference from the 1927 car was the new M 06 engine, replacing the M 9856 in the S model, which was later also used in the SSK and SSKL. The ‘06’ in the engine model designation indicated that this engine was one of the first to be developed by the joint forces of the companies merged to create Mercedes-Benz. The 7.1-litre engine developed 138 kW(185 hp) without supercharger, and 184 kW(247 hp) at 3300 rpm with supercharger engaged. The standout successes of the SS model on the race track included the triple victory at the German Grand Prix on 15 July 1928 at the Nürburgring. The drivers were forced to take turns at the wheel on account of the extreme heat. Christian Werner brought Rudolf Caracciola’s car home in first place, ahead of Otto Merz and the Werner/Walb duo. Mercedes-Benz also took three victories at the Semmering race in September 1928. Wenzler won the class for touring cars of up to 8 litres in a Mercedes-Benz S (average speed 77.4 km/h), Ernst Günther von Wentzel-Mosau was the victor for sports cars up to 8 litres in his Mercedes-Benz SS (average speed 83.8 km/h), and Rudolf Caracciola took the competition for racing cars with displacement of up to 8 litres in the new Mercedes-Benz SSK. His average speed of 89.9 km/h gave him the best time of the day. 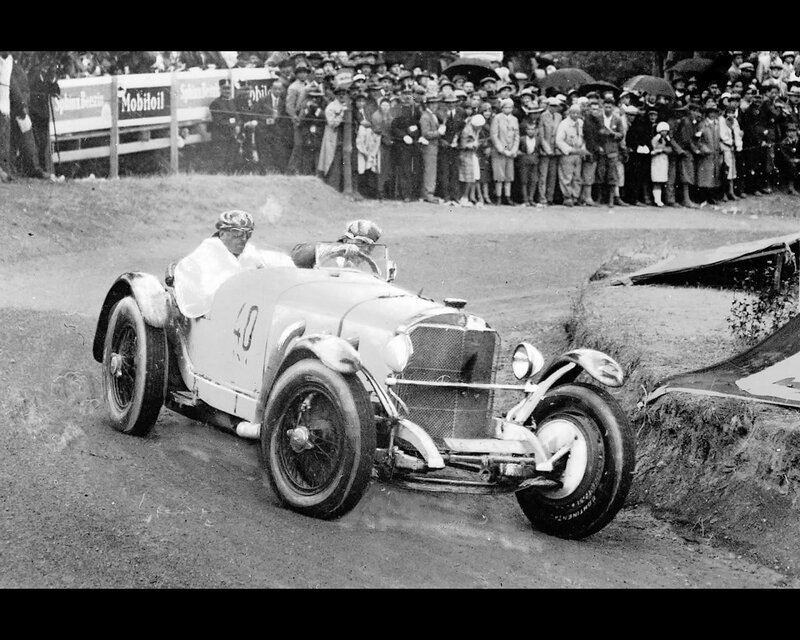 The enthusiasm for hillclimb events in Germany resulted in the development of the SSK, launched in 1928 (the ‘K’ stood for ‘kurz’, the German word for ‘short’), technically largely identical to the SS model, but with a shorter wheelbase, at 2950 mm instead of 3400 mm, and therefore a shorter body. This made the SSK the perfect vehicle for the narrow, winding mountain roads. Rudolf Caracciola began the 1929 racing reason on a high note for Mercedes-Benz by finishing the inaugural Monaco Grand Prix in third place in a Mercedes-Benz SSK. That same month, he was the overall winner of the Zbraslav-Jiloviste hillclimb race in Prague. And in pouring rain, he won the International Tourist Trophy in Ireland with an average speed of 117.2 km/h – all in SSK vehicles. 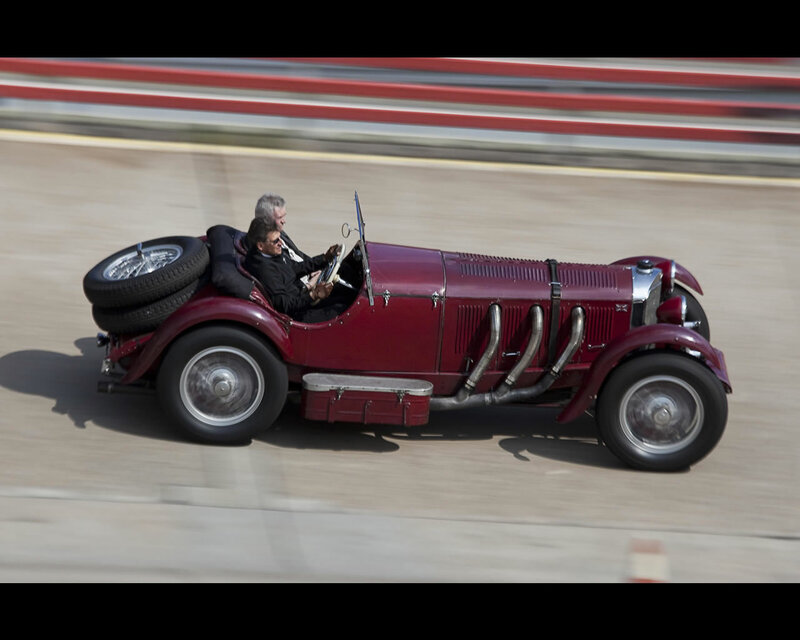 In the Grand Prix des Nations for sports cars at the Nürburgring, raced over 508.7 kilometres on 14 July 1929, the dominant cars were the lightweight Bugattis, which scored a one-two victory. The team of August Momberger/Max Arco-Zinneberg finished third in an SSK model. The SSK was also entered in races overseas. Carlos Zatuszek scored a string of victories in his adopted home of Argentina from 1929 onwards. And driving the SSK model, Caracciola also dominated the 1930 season for Mercedes-Benz, winning not only the Irish Grand Prix in Dublin, but also all the races he entered in the inaugural edition of the European Hillclimb Championship in the sports car class: Zbraslav-Jiloviste (in what was then Czechoslovakia), Cuneo (Italy), Shelsley Walsh (UK), Klausenpass (Switzerland), Schauinsland (Germany), Semmering (Austria) and Svábhegy (Hungary). Accordingly he was crowned as the clear winner of the European Hillclimb Championship. In April 1930, with Christian Werner, he also competed in the Mille Miglia 1000-mile race to Rome and back, starting and finishing in Brescia. The German duo finished sixth overall. For the 1931 racing season, Caracciola was able to compete in the new 27/240/300 hp Mercedes-Benz SSKL model, an enhanced, weight-reduced version of the SSK sports car. The 7.1-litre engine now developed 176 kW(236 hp) without supercharging, and 221 kW(296 hp) with supercharger. This gave the car a top speed of 235 km/h. 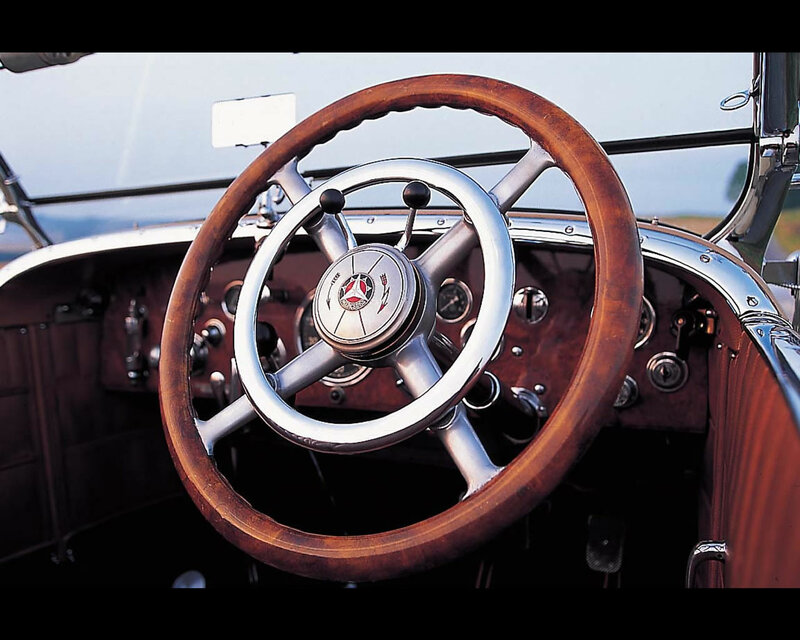 Externally, the most characteristic feature of the car was the holes punched in various structural components. The holes in the vehicle frame and cross members were highly effective, making the SSKL 125 kilograms lighter. 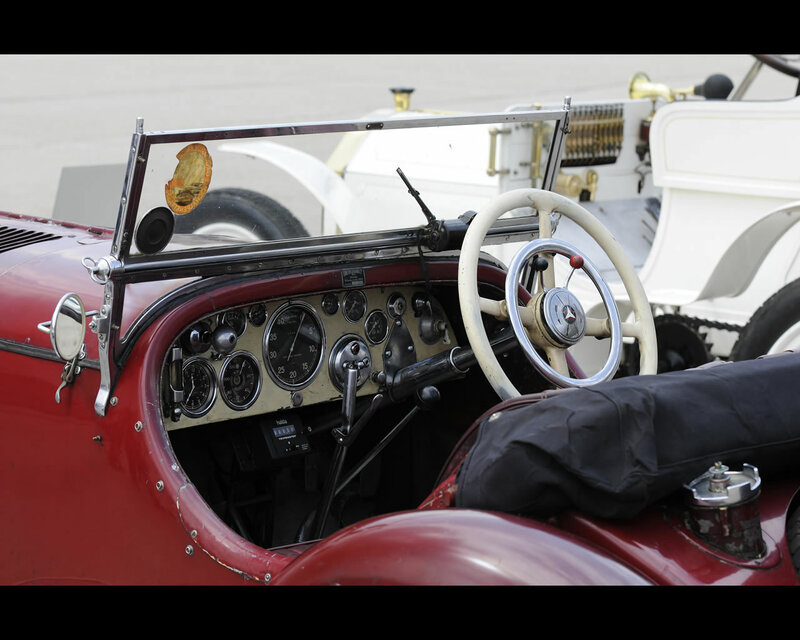 Nevertheless, the sports car still tipped the scales at around 1352 kilograms.